We have a choice of three swim distances to choose from 1 Km, 2 Km and 5 Km. 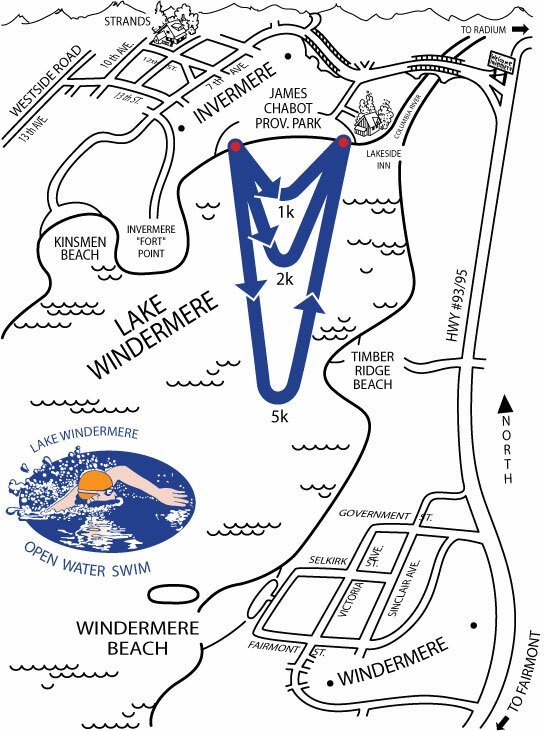 These are out and back swims which start and finish at James Chabot Provincial Park/Athalmer Beach in Invermere, BC. Invermere is a very popular tourist destination, providing upscale restaurants, quaint cafes and pubs, and a good variety of accommodation options for visitors. Lake Windermere is warm and actually a widening of the mighty Columbia River with the headwaters located 20 kilometers south of Invermere.